We’re delighted to have worked with Red Bull, one of the world’s most loved consumer brands since 2015. 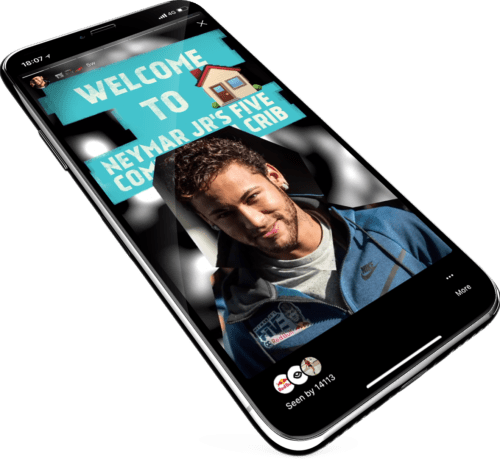 WePlay were appointed by Red Bull with the task of building the Neymar Jr’s Five brand and community across Facebook and Instagram, as well as growing participation in the event among the 16-25 demographic. With a relationship in place to support Red Bull at a global level, activating the tournament across 62 markets, WePlay provide a full suite of services. This includes digital strategy, user experience, multi-lingual creative and editorial production, social media management and monthly reporting. In its third year of the activation, the Neymar Jr’s Five brand has over 1.01m followers on social media and the tournament is played in 62 countries. 165,000 people take part in the tournament each year, making it the biggest 5-a-side football tournament in the world.